Smart link redirection for social media. Create special redirection campaigns that help you to increase the number of clicks from social networks and track every click. 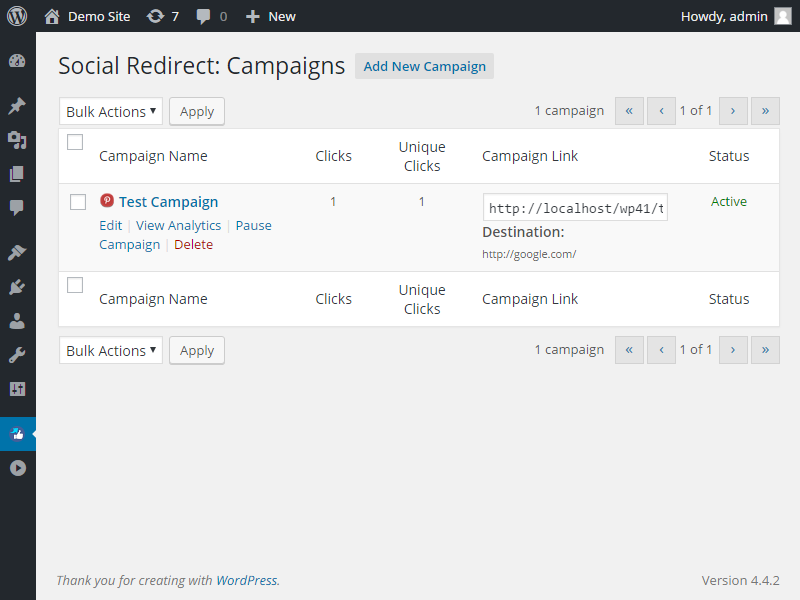 Using the plugin the user is able to create custom redirection links for social media. 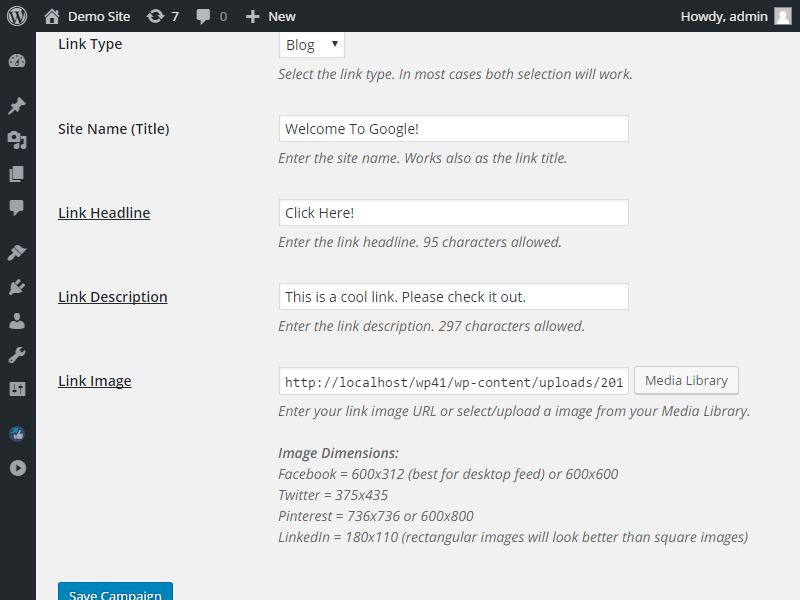 The special links can be customized, including the image that is displayed on the social network when other users share it, link title, link headline and description. 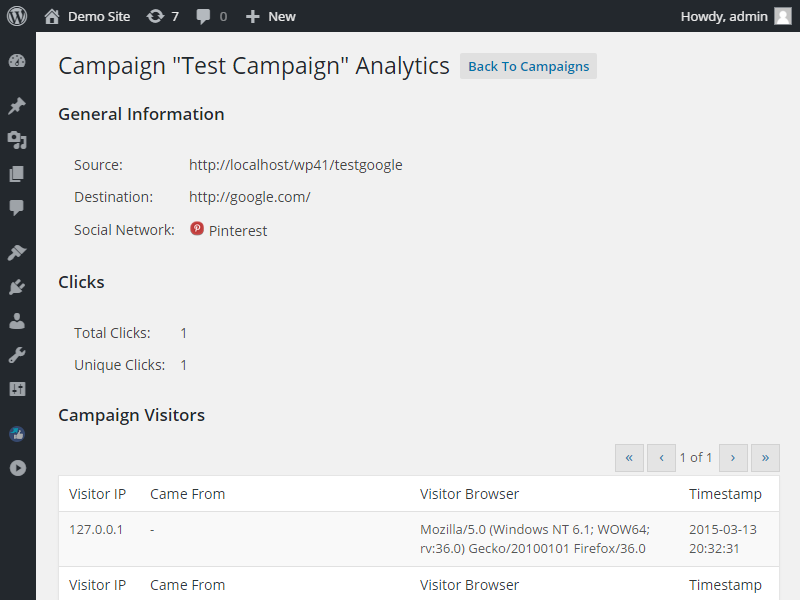 The plugin also comes with a basic analytics tool that the user can use to analyze clicks coming from the special links, including the number of total clicks, the number of unique clicks, the visitor IP, where he came from, the visitors browser and the time when the click happened. Supported networks: Facbeook, Twitter, Pinterest and LinkedIn.